Homeowners on Sydney’s Northern Beaches & North Shore need to be on high alert when it comes to the early detection of termite infestation. Termites, also called white ants, are such a threat to homes all across Sydney’s Northern Beaches and North Shore as they can simply can sneak up from the ground, silent and unseen, and begin eating away at the wooden structure of your home completely undetected for many years before you even know you have an infestation and sadly buy this time they have already caused a large amount of damage that can be in the thousands. Below are examples of termite detection and treatment jobs we have undertaken on the Northern Beaches and North Shore. If you have any questions about termite treatment and prevention or would like to arrange a professional pest inspection of your home or workplace, call or text our expert pest controller David Wright on 0477 688 496 for advice. 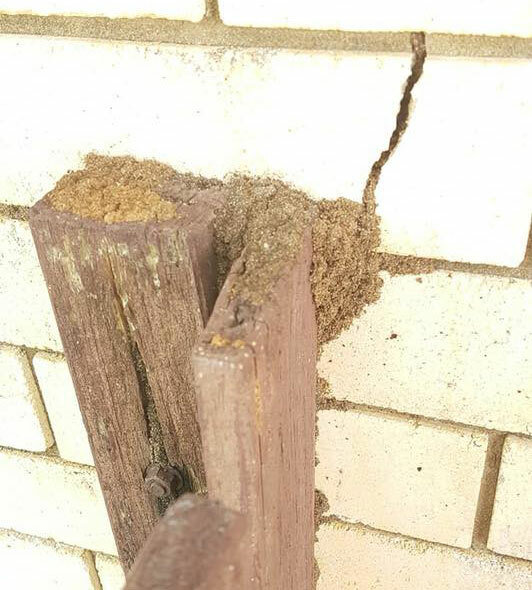 This a perfect example why it is so important to not have any timber in contact with the soil attached to your house such as gate posts etc as termites can use this as an entry point into your property. 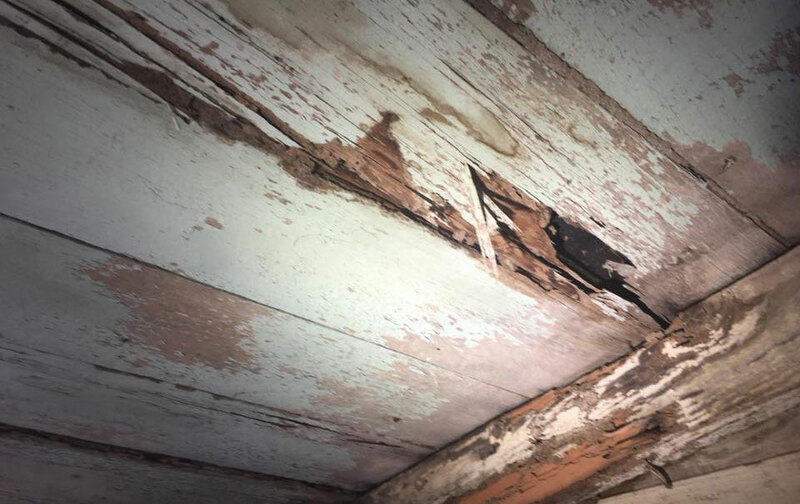 We first need to investigate where the termites are entering which we call a entry point some times they can be entering the house or property from multiple entry points it is extremely important we know this so we can effectively treat them. In this photo we found termite damage to the floor boards under a cupboard which hadn’t been open in years as we couldn’t gain access Underneath this section as there was no entry we used a borescope camera to inspect the cavity area below where we saw large termite mud leads running up the foundation wall and determine the depth of the void next step we will need to cut a floor trap so we can can physically inspect the area and commence treatment. 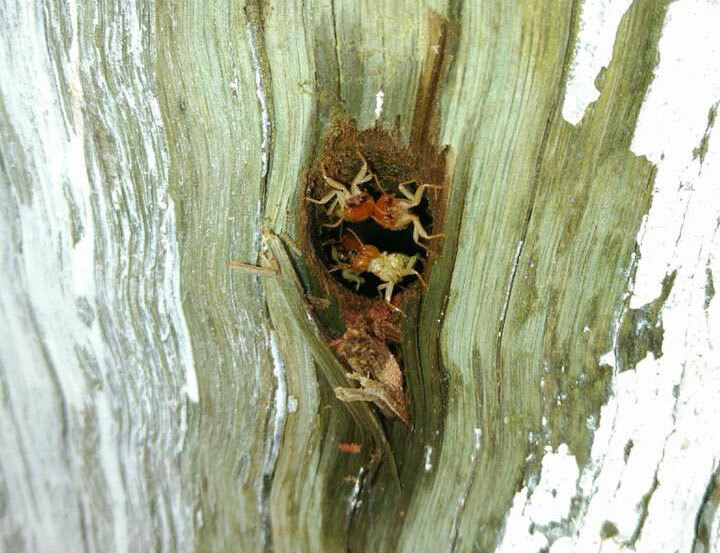 This is a clear sign there is termite it this post. Notice the mud in the gaps? Termites fill these areas to stop the air flow entering their workings which there are trying to keep nice and warm usually around 25-36 degrees it also helps protect them for predators such as ants. 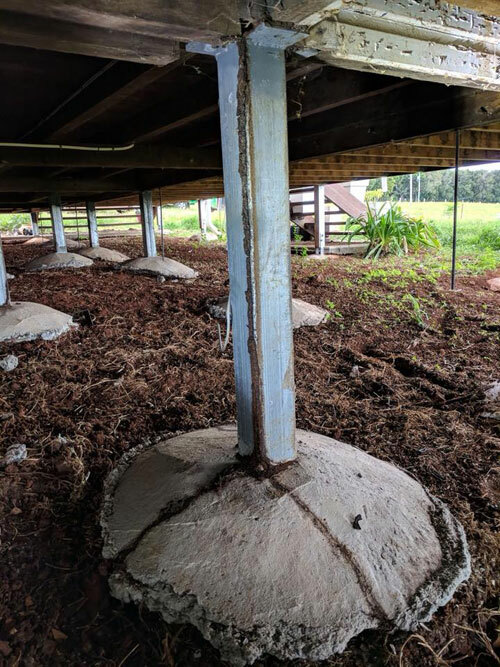 Termites enter home at Elanora via steel pillars under house. MORE INFORMATION : If you have any questions about termite treatment and eradication, call or text our expert pest controller David Wright on 0477 688 496 for advice.